As you consider installing a home basketball court, you probably imagine all of the benefits for your children. Sure, they will get plenty of use out of your Sport Court game court, but don’t limit your thinking. It’s time to think about yourself. Sport Court game courts are not only for the youth; it’s time for the entire family to get out and get moving. 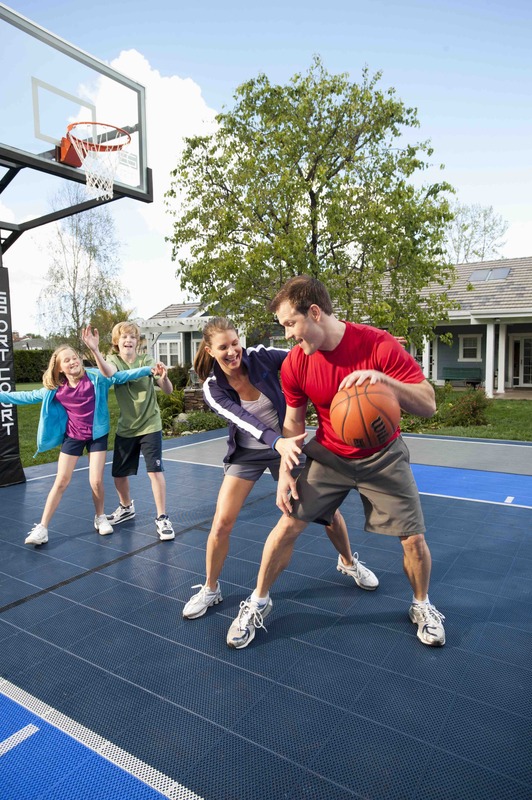 A Sport Court game court will benefit your kids in many ways. It will allow your kids to practice on their own time, becoming the best they can be. Not only will it help your kids excel at their sports, but it will help your kids get active. Instead of coming home after school and sitting down to an evening of video games, they can now get outside and be active. Your children have the opportunity to practice their sport, or simply start up a game between the neighbor kids. Game options on the Sport Court game court are endless. The benefits don’t end there. A Sport Court game court is not only for the kids. Your entire family can benefit from using it. Get out onto the Sport Court game court for a workout with your spouse. Today it’s your tennis court, tomorrow you can use it as an aerobics room and this weekend you’ve got an at home yoga studio. Now you and your spouse have a quality way to spend time with each other. Say hello to an active lifestyle. As you and your spouse get outside with the kids, you’ll be creating memories that never die. Play a game of volleyball, create a mini basketball tournament or even go for a game of dodgeball. Instead of allowing your kids to waste their childhood sitting on the couch while watching television, get them outside and active by installing a Sport Court game court. Your family will thank you.